Web designers have to test their work on a variety of computer platforms, browsers, and screen sizes. That can get annoying. 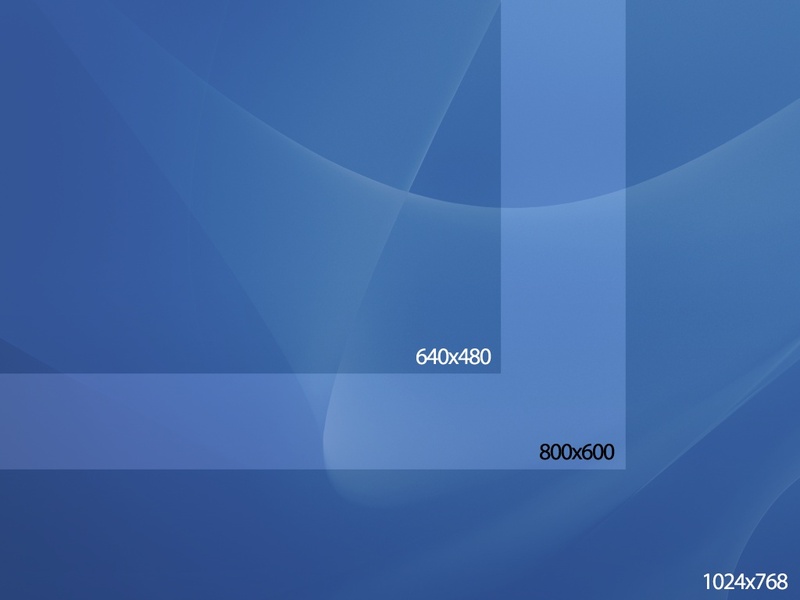 While there are many clever ways to set up browser windows for different standard screen dimensions (such as the Web Developer Toolbar for Firefox and Mozilla, which has all sorts of other cool tricks—go download it if you don't have it yet), one of the simplest is just to set yourself up with desktop wallpaper that shows what the different sizes are. 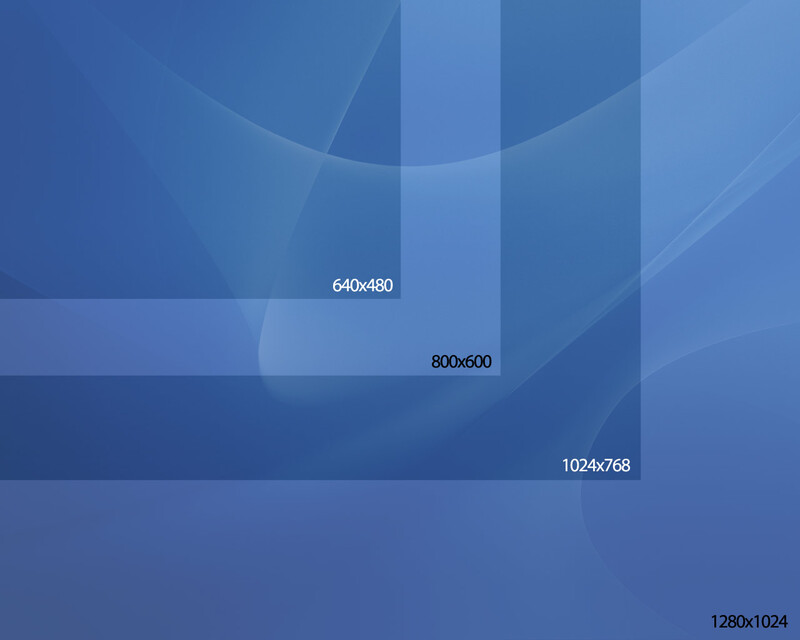 Then you just drag your windows into place and resize them until they fit the lines on the wallpaper. Then do whatever you need to do to set it as your desktop background. 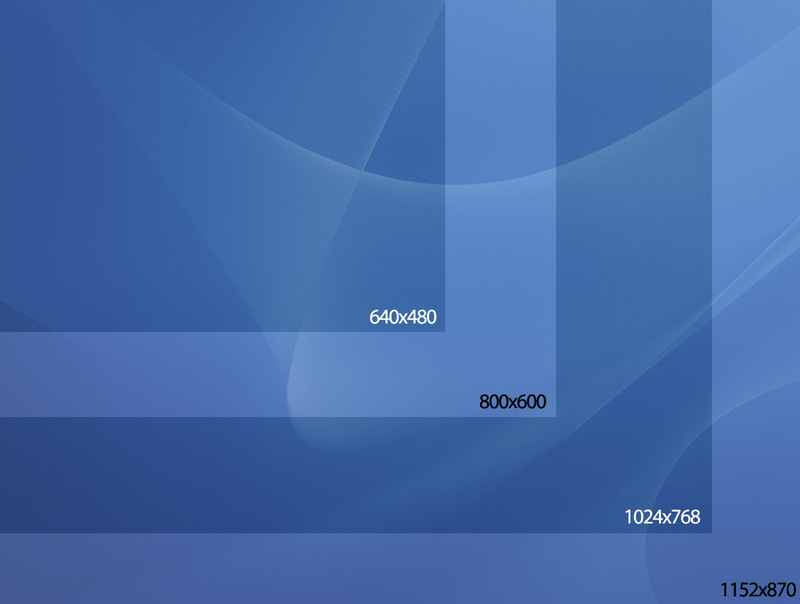 They're simply overlays on the standard Mac OS X 10.3 Aqua Blue wallpaper, but they'll work on Mac, Windows, or Linux/Unix X Windows (GNOME or KDE) desktops. It's best if you use the one that matches your screen resolution. If your screen's dimensions differ from the size you choose, you'll need to set the wallpaper to Tile or Center (not Fill Screen or Stretch to Fill Screen), to make sure that it isn't stretched or squashed—otherwise the dimensions will be wrong. NOTE: Now, before you complain, I know that I didn't create them at all possible useful sizes, or include all resolutions. If you have a new iMac or PowerBook or other display with a wide-aspect screen, for instance, you should choose the one that best fits the height of your screen and set it to Tile or Center. This was a quick and dirty task that took me all of 10 minutes, so treat it as such. Oh, and if none of this makes any sense, you probably have better things to do with your life than worry about browser window sizes, and you don't need the wallpaper at all.